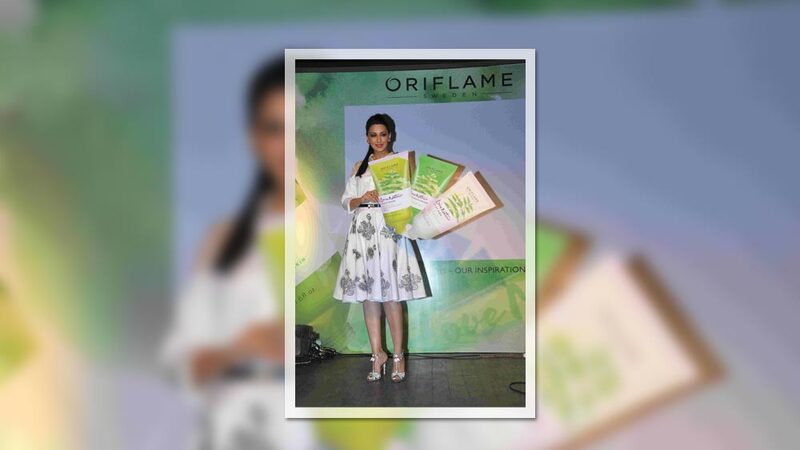 Wholly owned subsidiary of Swedish cosmetics major, Oriflame India has launched Love Nature Range with its Brand Ambassador and Bollywood actress Sonali Bendre Behl in Mumbai, recently. The wholly owned subsidiary of Swedish cosmetics major- Oriflame, has introduced ‘Love Nature’ range of skin care products in Neem, Tea Tree, Wild Rose and Aloe Vera variants. The new range was unveiled by Bollywood actress and its official Brand Ambassador, Sonali Bendre Behl along with Juan Carlos Posada, Senior Marketing Director, South Asia and Prachi Mohapatra, Senior Manager, Brand & Communication, South Asia. 1. Love Nature Neem Face Wash Neem, Clay Mask Neem, Face Moisturizer Neem. This range is priced between Rs. 199 to Rs.279. 2. Love Nature Aloe Vera Gel Mask, Face Toner, Gel Cream, Face Scrub and Cleansing Gel. The range is priced between Rs. 299 to Rs. 379. 3. Love Nature Tea Tree: It helps in removing impurities, make-up and excess sebum. The range offers Cleansing Gel, Face Toner, Face Lotion and Blemish Solver at price range between Rs. 329 to Rs.399. 4. Love Nature Wild Rose: Rich nourishing range containing extracts of natural wild rose to soften and smoothen skin. The range offers product including Night Cream, Day Cream, 2-in-1 Cleanser and Rose Water at price range between Rs. 149 to Rs.349. Warren Tricomi salon debuts in Hyderabad..